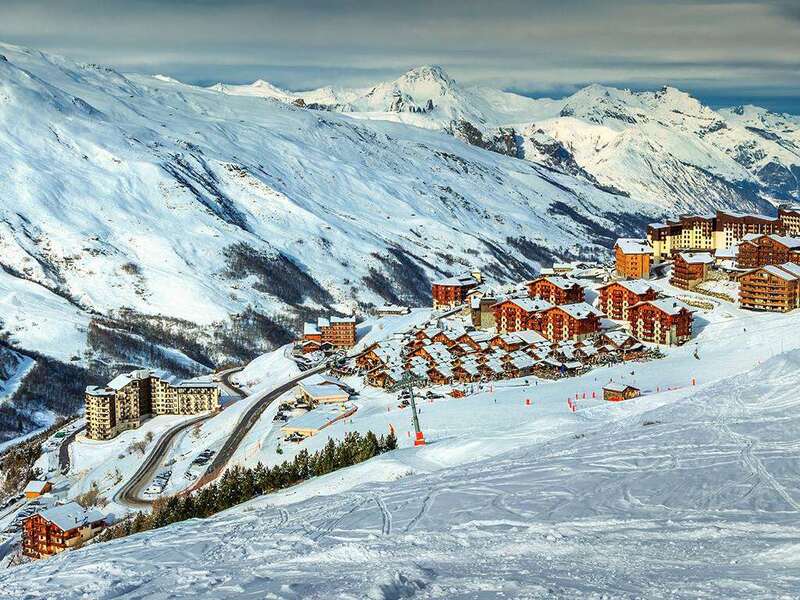 The residence "Le Jetay" is linked to the resort centre (ski school, all shops, tourist office) by steps. Residence "Le Jetay", 5 storeys. 500 m from the centre, directly by the skiing area. In the house: storage room for skis. Public parking. Grocery, supermarket 200 m, shopping centre 500 m. Skisport facilities 50 m, slopes 10 m. Please note: the photograph shows a typical example. There are more similar properties for rent in this same residence. 3-room apartment 50 m2 on 2 levels on 2nd floor: living/dining room with TV. Exit to the balcony. 1 room with 1 double sofabed (1 x 140 cm). Kitchenette (oven, dishwasher, 2 ceramic glass hob hotplates, microwave, electric coffee machine). Bathroom, sep. WC. Upper floor: 1 room with 1 double bed (140 cm). Gallery with 1 double bed (2 x 80 cm), 1 pull-out bed (2 x 80 cm), hand-basin and separate WC. Balcony, west facing position. Beautiful view of the mountains. Maximum 1 pet/ dog allowed. Please note: the double bed in the gallery is a "mezzanine" bed accessed via a ladder. Choucas entrance.